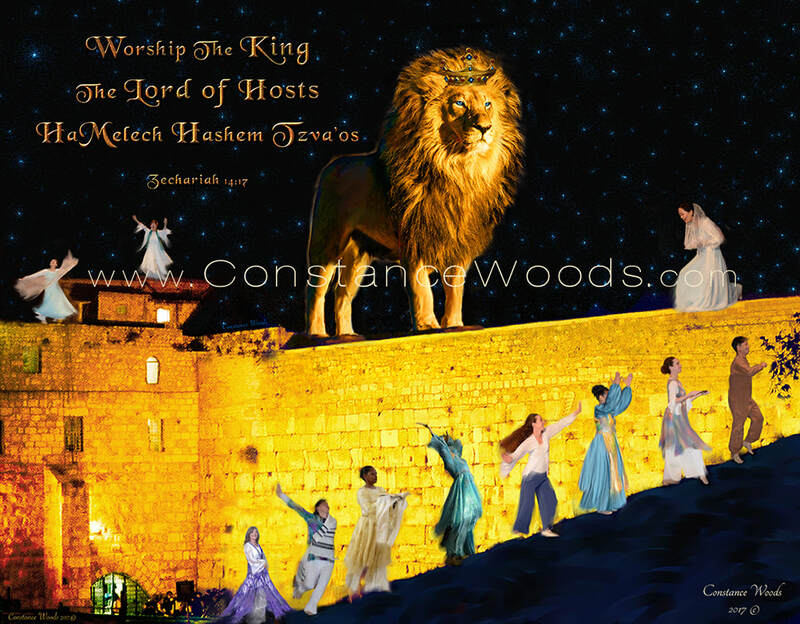 This image began with a night view photo I took of Jerusalem's Western Wall. When I was reading the scripture from Zechariah this image began forming in my spirit. Holy Spirit leads each step.